New York Tourists will release 'Only for the Summer' on 7th of October 2016 through Scruff of the Neck Records. 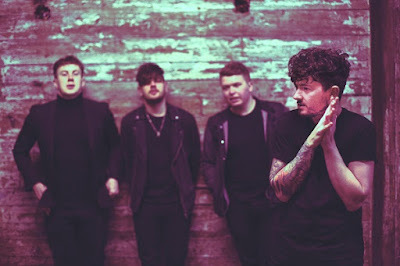 Combining the propulsive freneticism of the likes of FOALS with the weight and power of Queen’s of the Stone Age, Blackburn-based four-piece New York Tourists have managed to deftly balance both energy and aggression, and in doing so have created an idiosyncratic brand of indie rock that’s impossible to ignore. Such is their appeal, that the band’s debut EP Dead Man’s Leather saw them earn significant support slots with the likes of We Are Scientists, The Futureheads or The View while their more-recently released debut album You + Me, funded through a successful Kickstarter campaign, was unveiled at a 550 capacity sell out in the band’s hometown of Blackburn this April. Now however, New York Tourists are looking to the future. New single ‘Only For the Summer’ builds on the band’s familiar freneticism while effortlessly combining a more understated side of the band with a bombastic urgency that could only come from a band on the cusp of bigger things.